Hola señoras y señores! 2019 is upon us and already in full swing! Which Super Bowl ad will reign supreme and dominate watercooler gossip this year? Will Asia survive another holiday (and family!) marathon as they ring in the Lunar New Year? Will I finally thaw off after a long winter? I don’t know, honestly, only psychics, the House of Stark, and groundhogs hold the answers to winter’s deepest questions. What I do know with 100% certainty, however, is that we’re facing the arrival of yet another exciting Mobile World Congress! You’re probably starting to put together your battle plan for the week both on and off the show grounds, preparing to make every second count. As always, I’m happy to help my fellow marketers out with the annual rundown of the best parties and networking events in town during MWC. 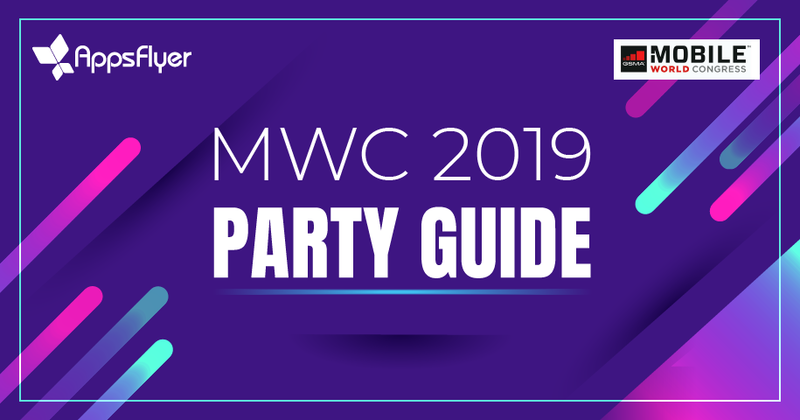 So here you have it: the all-encompassing paella of party guides to the MWC 2019 party scene. Buckle up and keep the Advil on your nightstand because it’s sure to be a crazy week. Vamos! For the fourth consecutive year, Mobile Sunday is back and better than ever! The premier networking event in Barcelona is taking place the evening before the Mobile World Congress and 4YFN kick off. Get your ticket here. Calling all (m)ad scientists: experiment with some serious bites and curious liquids at our Ad Lab Booth at Mobile World Congress 2019. Save yourself a beaker here. Start off the conference with a bang at the TrafficStars office, right next to the MWC conference centre. Come and join the celebration, meet the teams, and network with other MWC attendees. Register here. Join us at the 5th IoT Stars MWC 2019, the most famous networking event for Internet of Things people and companies during the first night of the Mobile World Congress in Barcelona. This will be a unique opportunity to meet and network with different professionals working in the Internet of Things (IoT) ecosystem. Get your ticket here. Join Tappx and Pixalate for a dazzling cocktail party at Barcelona’s most secret and exclusive bar, as featured in the World’s 50 Best Bars listing. Request your invite here. The Sutton Club, 13 Carrer de Tuset St. If you’ve been to Mobile World Congress, you would know that this isn’t the night you decide to “catch up on beauty sleep”. Maybe I’m biased, but this is definitely the party not to miss. If you haven’t been yet, well, you’ve heard the stories (which are absolutely all true!) 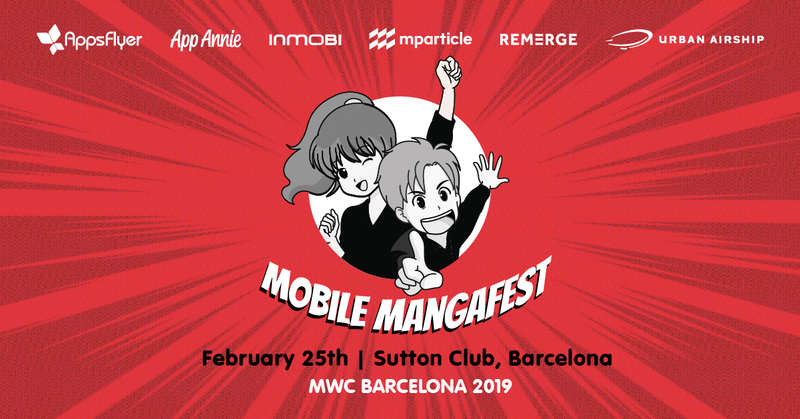 We at AppsFlyer, in partnership with App Annie, InMobi, mParticle, Remerge, and Urban Airship, are hosting a freakin’ awesome, highly anticipated Mobile Mangafest experience this year, guaranteed to rock your world (and yes, I’ll definitely be there manning the ones and twos). Request an invite here. Don’t worry, there’s still time if you’re looking for quality face time with the AppsFlyer team. Join us at the end of day two with drinks and friends at our booth. To celebrate a newly formed premier partnership with Google, Appsumer would like to invite you to join them for some cocktails and canapés. A great mid MWC mixer to relax and meet like-minded people from the mobile marketing ecosystem whilst enjoying the benefits one of Barcelona’s top bars, Marmalade. Request your invite here. There’s no Startup Grind where you don’t leave with new friends and exciting connections. Join this networking event, in partnership with Google for Startups, for an open mic session, panel discussion, and, of course, plenty of beers and delicious empanadas to last the night. Get your ticket here. Where will the high-flyers of mobile marketing be networking at this year’s Mobile World Congress? Look no further than Mobile Marketing Magazine and Masterclassing‘s Mobile Marketing Mixer event, which will be hosted at the spectacular Cerveceria Moritz – a unique building, transformed from the old Moritz beer factory – located just down the road from Plaça Universitat. An open bar, light buffet and great music will be sure to make it a night to remember. Register here. Cheers to making it to the end of day three! Join us at our booth for a toast and quick celebration. The event is organized by Digital Sapiens, Barcelona´s international community of Digital Thinkers and will be hosted by CoBuilder Hub, a premier Barcelona co-working space for innovators and entrepreneurs. Grab a ticket here. Plans are afoot for the next edition of Swedish Beers in Barcelona in 2019 – and they’re easier to make than a coffee table from IKEA. Brexit and the changes associated with it are looming, but Swedish Beers at MWC goes on. Come for a relaxing evening, enjoy a drink or three, and have yourself a good time. This event is casual, so you can leave your suits and ties at the hotel. Sign up here. Tech Tribe has once again prepared a special networking occasion for the Mobile World Congress Week 2019! Come and meet international talent from different fields, and both local and foreign startups. Talks, fireside chats & live music in a beautiful beachfront space in the trendy Barceloneta neighborhood. Buy your ticket here. Enjoy the official Quobis party at the MWC Barcelona with a glass of wine and some delicious tapas. Register Here. With so many great events this year (and every year, TBH), I only wish there were more hours in the day so I could attend more of them. However, time is our most crucial asset, so we must be picky with our decisions. Remember – set your personal goals for the week, and choose which events are worth your time. Plan wisely, and don’t forget to have some fun 😉 See y’all SOON in Barcelona. Did I miss your party and you want to be listed here? Write it up in the comments below👇 !